Located amongst the vast natural beauty of the northern Kanto district, the twin ring circuit at Motegi in Japan consists of a 1.5 mile oval and a 2.9 mile road course constructed to international standards. Built by Honda as the ultimate test facility in August 1997, the road circuit became home to MotoGP in 2000 whilst the oval is designed to introduce American motorsports culture to the country. Tickets to the V-shaped Grandstand E give you a spot right at the end of the “S curves”. Sitting on the first side, you’ll witness the cars take on the ultimate pair of bends of the chicane section at a pretty high speed. On the second, you’ll just see the latter bend, a sharp 90°turn, but will have a glance at the cars accelerate towards the northern part of the track through a straight. Tickets to Grandstand D bring you at the end of the S curves. The stand is shaped to embrace the track perfectly, giving you the best overlooking opportunities possible. According to the zone of the grandstand, you will be facing the second or third curve, but will nevertheless be able to see the whole chicane section by all means. 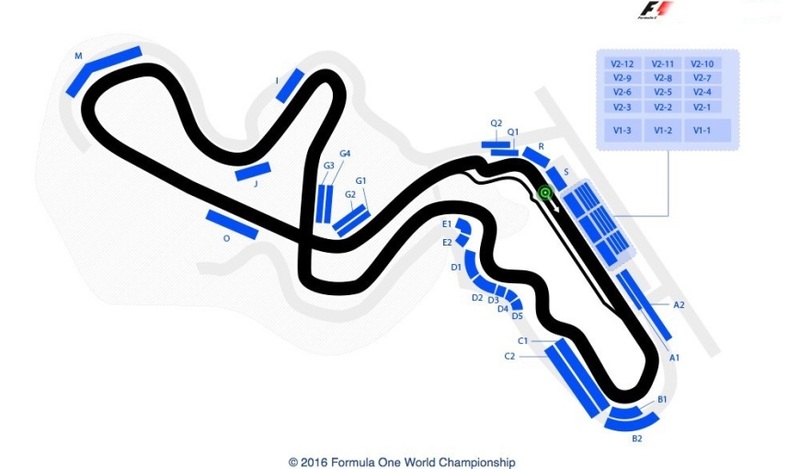 You’ll be sitting in a very interesting section, definitely one of the most exciting ones of the Japanese Grand Prix. Moreover, the giant screen sitting opposite the grandstand will guarantee you don’t miss out on any of the action! *Tickets only give access to ONE of the mentioned zones above and are distributed according to availability. Grandstand C sits between the track’s first curve and the chicanes sections. Watch the cars take the high-speed first curve before diving into the tricky S bends, with just a short straight separating these turns. All in all, fine mixes of speed and technique ensuring thrilling and unforgettable moments. Moreover, the giant screen sitting opposite the grandstand will guarantee you don’t miss out on any of the action! *Tickets only give access to ONE of the mentioned zones above and are distributed according to availability. Tickets to Grandstand A2 bring you to the end of the first straight. Within yards of the start and finish line, you’ll be sitting in one the finest seats of the circuit! Enjoy an excellent view on the track’s first end and distant but good sights on all the pre-grid action, the start/finish of the race, the pit-lane activity and the podium ceremony. Moreover, the giant screen sitting opposite the grandstand will guarantee you don’t miss out on any of the action!What more could you ask for? Tickets to Grandstand V1 bring you to the circuit’s main grandstand, just opposite the start and finish line. It’s simply the best place to follow the race as you won’t miss any of the Grand-Prix’s key moments! Witness all the pre-grid action, along with an excellent view of the start/finish and the track’s first straight. 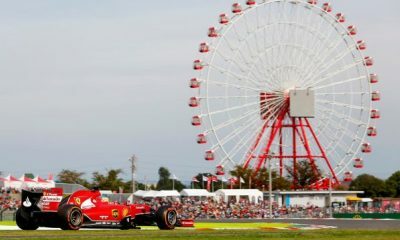 See the cars go round the first and last bends, and enjoy good sights on all of the pit activity and the podium ceremony. Moreover, the giant screen sitting opposite the grandstand will ensure you don’t miss out on any of the action! *Tickets only give access to ONE of the mentioned zones above and are distributed according to availability.